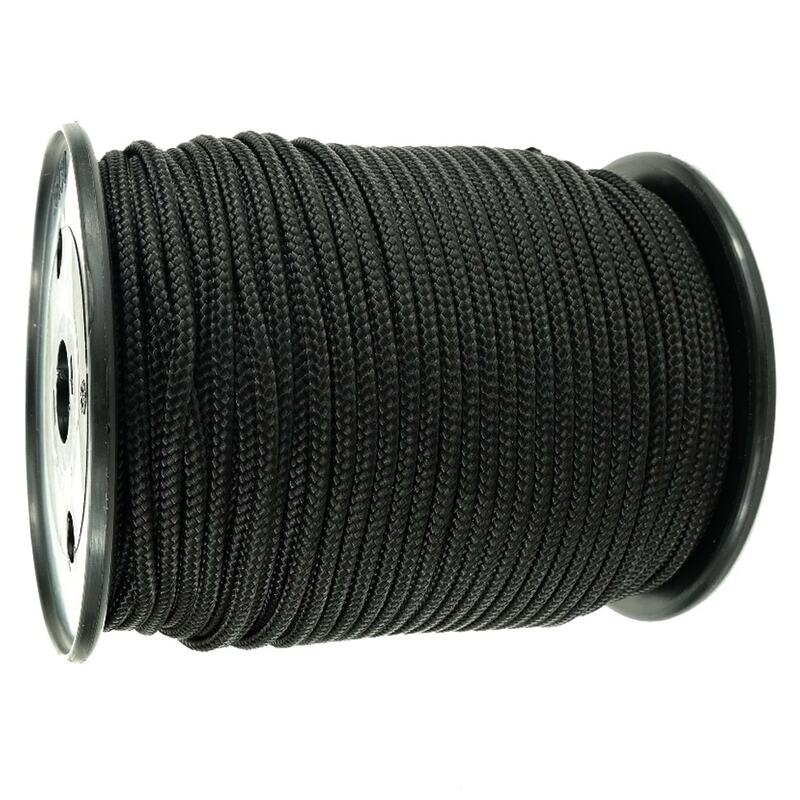 High strength black polyester braided cords in cross braided 8 plait construction for picture cords, marine applications, blind cords and industrial applications. Available in the following dia 1.5mm, 2mm, 3mm, 3.5m, 4mm, 5mm & 6mm. Supplied on sturdy plastic reels for ease of use and storage. Also suitable for flags, mousing lines, burgee halyards and lanyards.